Rave reviews. Used in medical, pharmacy and nursing schools and in medical and pharmacy residencies. Read more about the book here. The shocking truth is that most scientific research that informs most doctors' medical decisions is unreliable or is of uncertain reliability. And many doctors and other health care professionals do not realize this. Every day patients are harmed by unfortunate health care choices—and some of them die because of it. Too often this happens because of problems with the information provided to the patient—or its lack—where different information could have resulted in a very different choice—and a very different outcome. The good news is that you only need to know a few, easy-to-understand statistics, and you need a few basic concepts to help you understand bias and chance. Medical evidologists and clinical improvement experts, Sheri Ann Strite and Michael E. Stuart MD, provide you with easy-to-understand guidance. In a few hours, you can learn basic critical appraisal skills to help you evaluate clinical trials and other medical research studies of therapeutic interventions. 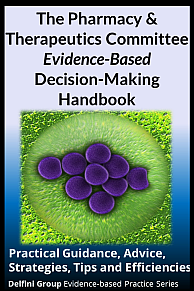 Based on their popular simplified and tool-based approach, the authors show you how to evaluate the reliability and clinical usefulness of clinical trials. Written for physicians and other health care professionals, this book is written in easy-to-understand terms that even the layperson can understand and put to use. 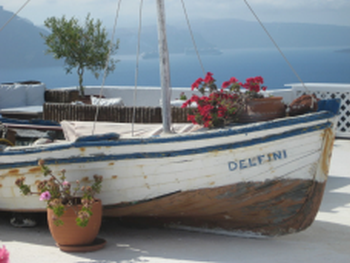 Read more about our book and our book's reviews. More Reviews at Amazon.com. Read more about this book by going to the What You Don't Know Can Hurt You website and watch our video. 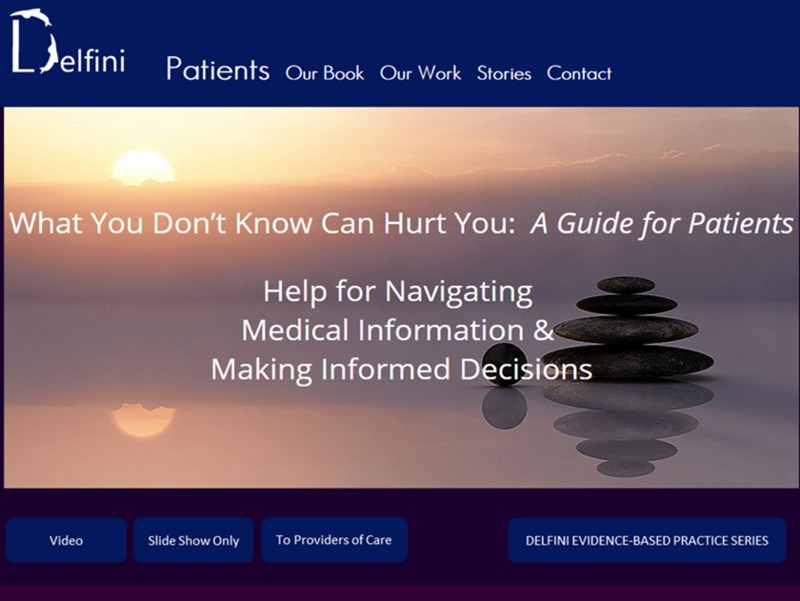 For access to patient help, you can go directly to the Reader Resource web page. Many times patients accept medical advice without understanding they have a choice. Many times patients are given medical advice that is not supported by reliable science. In many cases, these situations have resulted in harms to patients they might have avoided if they understood some little known facts about the health care world and communicated with their health care providers differently. 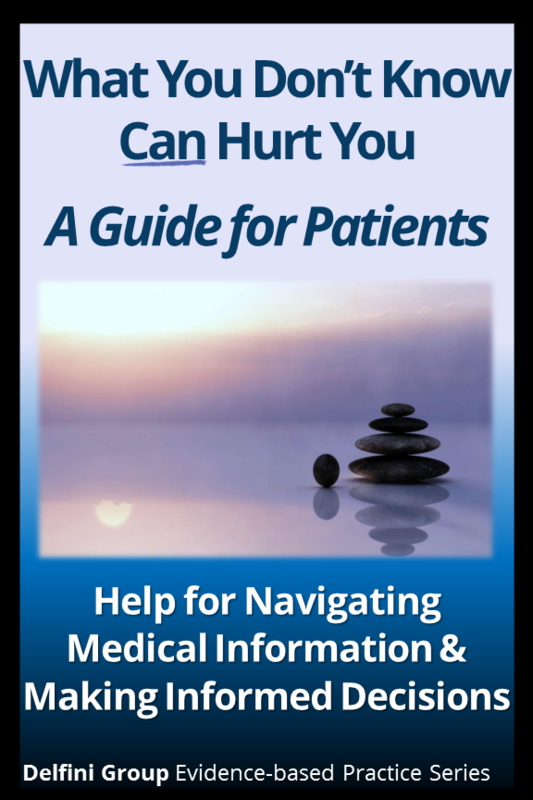 This book is about the need for you to sometimes change the course of your care based on the medical information you receive—or have not received. This book is about how to talk to your doctors and other care providers to improve your opportunities for getting the information you need to make health care choices that are best for you. Written by medical information scientists, evidologists and health care communication experts, Sheri Ann Strite and Michael E. Stuart MD, this book gives you a prescription for more effective communications with those advising you on your care. From a patient reader: "A lovely, great work. This is absolutely fantastic information for patients! As a non-clinical person, I was able to read this without feeling that it was over my head and it held my interest until the very end. I already feel like it is something that I would want to re-read again and again as a resource for my lifelong health care journey. This is something people can draw from throughout their lives. I plan to live with it and really use it, write in it, highlight it and take it along to medical appointments to make sure I get the most from my provider visits." For free access to help for patients, you can go directly to the Reader Resource web page. 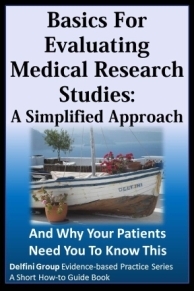 Note: Contents are similar to our Medical Technology Assessment book, but targeted for a P&T audience. 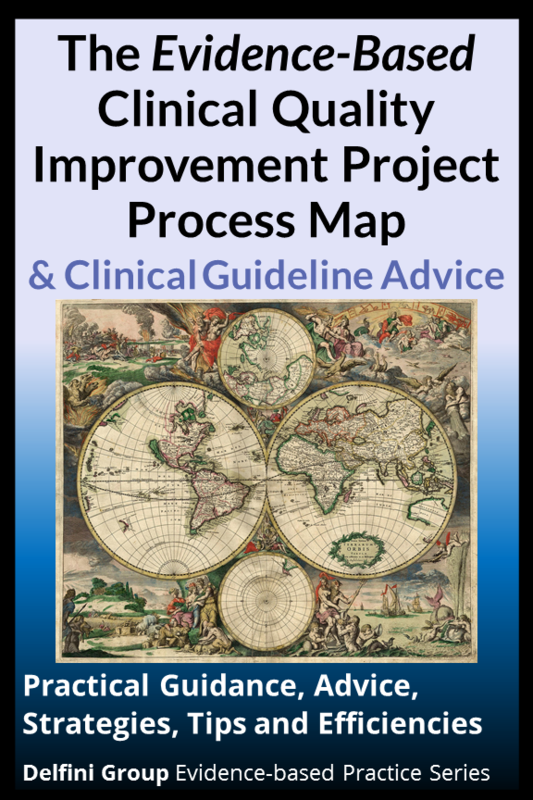 If you are making decisions "by committee," how do you avoid typical pitfalls? Rave reviews not only from industry, but from health plans as well. Read more about the book here. This book is written for the scientist who doesn't think about the payer—and for the one who does. This book is written for the sales rep who doesn't think that sales reps need to understand anything about medical evidence beyond the script—and for those who know that understanding anything important in the payer world could be make-or-break. And this book is written for everyone in between. 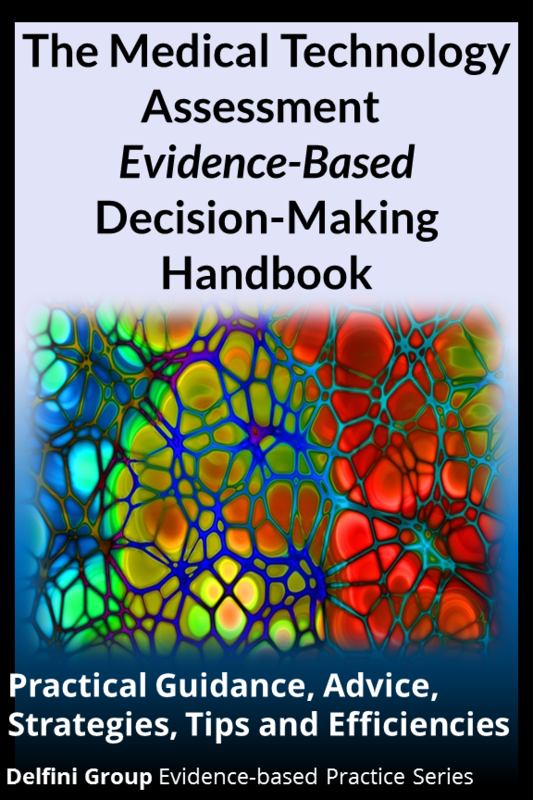 In short, this book is written for everyone in industry involved in payer medical decision-making. 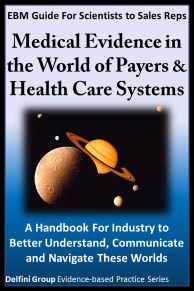 And the principles discussed in this book can be applied to many health systems as well, as well as other customers, such as the practicing clinician. For non-scientists, the good news is that we make the world of medical evidence easy—we are renown for our simplified approach. For scientists, we can help you better know how payers and health systems may relate to your science. We have extensive experience in communicating evidence in ways end-users can understand. Evidologists, Sheri Ann Strite and Michael E. Stuart MD, have worked extensively with payers and industry and can be your guide to help you bridge gaps between the worlds of health systems, payers and industry over medical evidence. Why is FDA approval insufficient for payer approval? Why do payer decisions seem so inconsistent at times? What are some of payers' biggest concerns and how can you effectively address them? What are some of the biggest problems with medical research and its reporting—and that you can fix? How can you use evidence to establish common ground with payers and foster good relations? In this guidebook, we give you information and insights along with practical guidance, advice, strategies and tips. We share our prescription for gap closing and bridge building—the RRAPP™ System for Research, Reporting, Appraising, Preparing to Communicate and Preparing to Connect over medical evidence.